We always get approached with the same question from many clients: I'd like to do some Search Engine Optimization (SEO), where should I start? It is hard to answer this question in a couple words. (It's like asking, I'd like to be a car mechanic, where should I start?) So we've put this page together to provide some guidance for beginners. This is by no means exhaustive, but it is a starting point for many DYI people. This is a constantly updated page, since things are always changing. We mostly talks about Google search engine (since it is the dominant one), but the rules apply to all other major search engines. Make sure your meta descriptions and data tags are reflective of what the particular page is about. Yes, they are old and yes, somewhat irrelevant. Google still uses them to generate search engine results pages. It is easy with Wordpress or Joomla to let those go and then they get filled up with automated, repetitive content, which can harm your site more than help. No, we are not talking about a page where you have a list of all your links. We are talking about a Google compatible site map, which can be used by the crawler to pick up on your important pages. If you are using a CMS, like Joomla or Wordpress, there are plenty of plugins that will generate it for you. Once done, submit it to Google and wait for it to be crawled. Do not subit several times -- Google will penalize for that! Once again, with Wordpress and Joomla this can be easily achieved using plugins. This is the part to modify: alt="Medical and Dental IT Support"
SEMRush: this is a paid for tool, but they do have some nice preview stats and insights. Small SEO Tools: very nice and free site with various SEO tools. It has many more other tools, like keyword analyzers, link analyzers, domain authority, tracking tools, etc. Highly recommended. 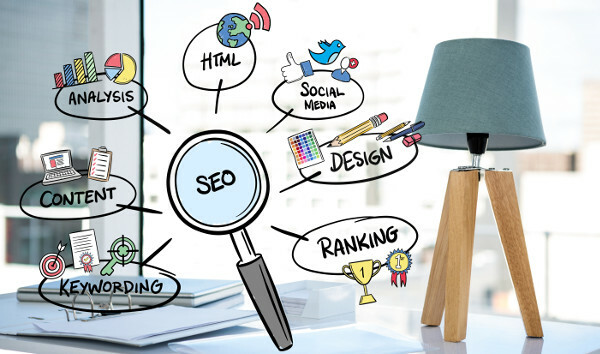 If you feel that you have completed all the work and would like to get more help with Search Engine Optimization, you can always contact us for help. Our consultants will provide you support starting from basic website tasks to more advanced, such as keyword mapping and website code optimization.